We’ve billed Android Wear 2.0 as Google’s most important smartwatch OS update and that’s because last year was a tough one for the platform. Wear 2.0 was delayed and hardware partner Motorola decided to hold off making more Wear watches. 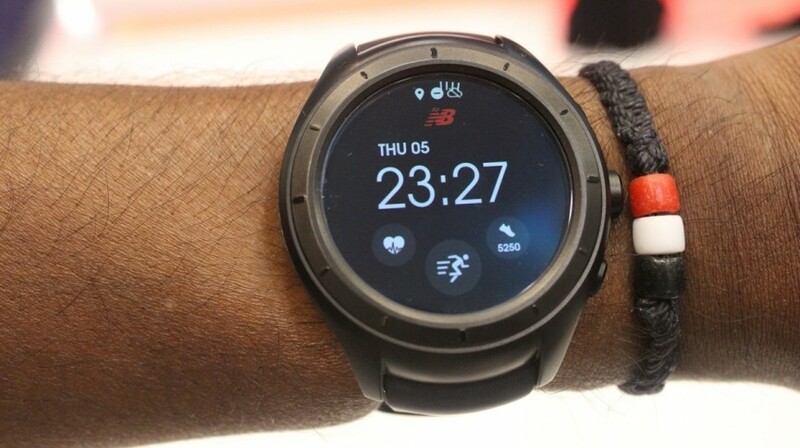 But software is nothing without the hardware to run it on and New Balance is not giving up on Google’s vision with the Android Wear-powered RunIQ. The sports giant announced it was making a smartwatch a year ago and we’ve had to wait a little longer to see it up close. The model we’ve had a play with is apparently not the final build, but there’s plenty that was up and running to get a good feel of what to expect and it’s all looking very promising. I’d describe the look of the RunIQ as understated. It doesn’t scream running watch, but it hasn’t taken a more luxurious approach to design like we’ve seen from LG with the Urbane or the Moto 360 2. Unlike the Polar M600, New Balance has opted for a circular design that has a stature very similar to the Moto 360 Sport. It’s not bulky to wear and the rubber strap feels comfortable around the wrist. I’m a fan of the matted finish on the watch casing as well and thankfully there’s no black tyre lurking at the bottom of the vibrant 1.39-inch AMOLED display. It’s no style icon for Android Wear, but it looks good and I’d happily wear it. Android Wear is of course running the show here and it’s a lot of what we’ve seen before. It’ll be packing Wear 2.0 when it lands, but what’s interesting here is what New Balance is doing to make the software feel more unique on the RunIQ. 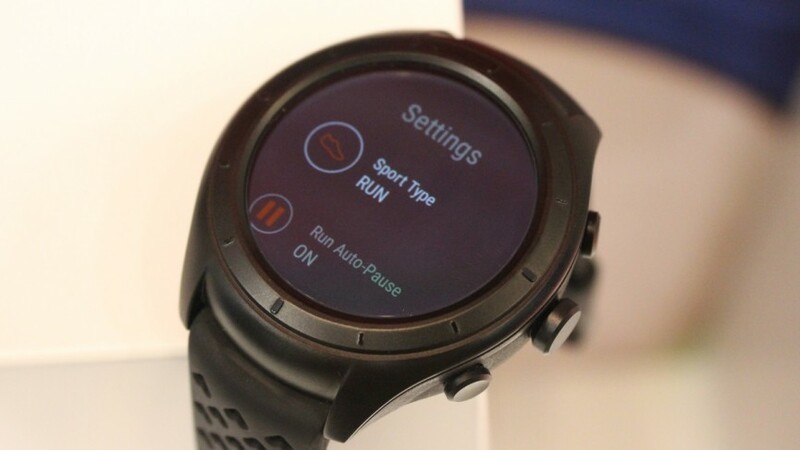 This is a well renowned running brand and that’s clearly who it’s targeting this smartwatch at. It’s not just gone crazy with New Balance themed watch faces, but it’s the Strava integration here that really stands out. Whether it’s from the main screen or the app drawer, you can quickly jump into a tracked running or cycling session through the dedicated Strava app. It looks very slick and well optimised for the small screen letting you view data like lap counts, heart rate zones and distances. In the settings you can change tracking modes and turn on auto pause for more accurate data. There is GPS on board here, so you can track routes without having your smartphone around as well. The music player functionality features prominently in the UI as well. 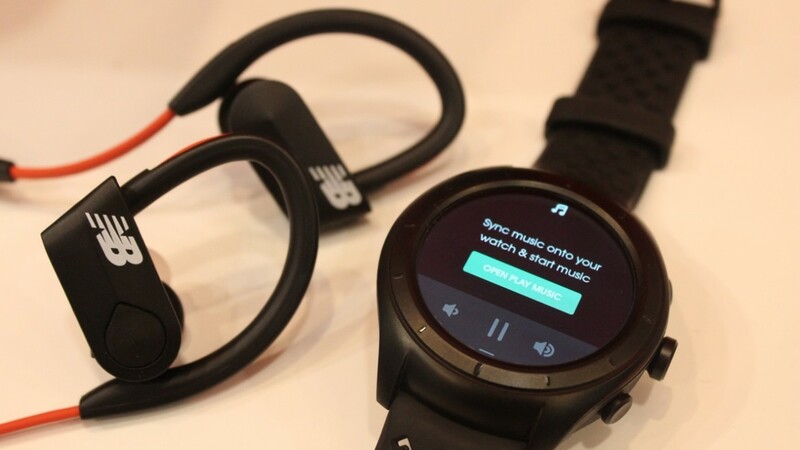 It’s not a feature that’s new to Android Wear of course, but there’s a useful widget dedicated to transferring music from Google Play and a music player launch icon in the Strava app letting you quickly access playback controls. There’s some really nice touches here that make it feel like a more robust sporty smartwatch. My biggest hardware concerns for this run-friendly Wear watch lie with the battery life and the reliability of the heart rate sensor. A day’s play or five hours of GPS tracking time is certainly not going to appeal to Polar, Garmin or TomTom sports watch owners who are used to having a least a week’s worth of battery life. While we had a pretty positive experience with the heart rate sensor on the Polar M600, it wasn’t quite the same story on the Moto 360 Sport. Hopefully New Balance has done some work to make sure it’s up to scratch. If we’re comparing it to other sporty Android Wear smartwatches, there’s still a lot to like. It’s a nice looking smartwatch if a little understated, and the Strava integration looks really promising. Add in the fact that it’s going to pack Wear 2.0 and the $300 RunIQ could well have some appeal to casual runners on the lookout for a smarter running companion.